Hang these beautiful sun catchers in your window for the Christmas season. Cut out all of the white from the template. You will be left with the snowflake border shape. Place the snowflake shape onto a self laminating sheet or contact paper, construction paper side down. Fill in the inside of the snowflake with squares of white, yellow or shades of blue tissue paper. If you wish you can do a green and red combination. Cut out the snowflake from the laminating sheet or contact paper. 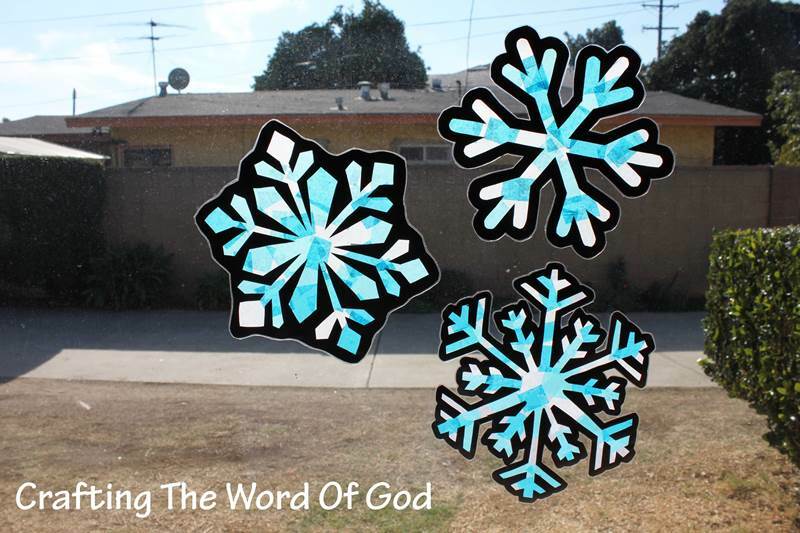 Stick the snowflake/ snowflakes to your window with double sided tape. This entry was posted in Christmas, Holiday Crafts and tagged Christmas, craft, holiday, snowflake, snowflake sun catcher, sun catcher.